Sony's Next Generation Portable entertainment system. Last edited by El Chaos on 07 Jun 2011 19:21, edited 2 times in total. Something not mentioned in the specs is that the game media will be a form of proprietary flash memory card, which should cut short the long loading times some PSP games are known for, as well as probably save some battery power. The system has been rechristened as PlayStation Vita. Over 500 left at the moment - thanks to CAG for pointing it out. If anyone wants this particular model, this is probably your best bet for finding it for the foreseeable future. 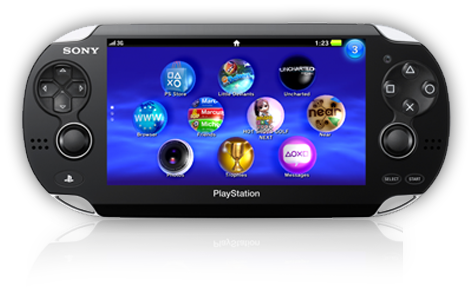 Yoshio Matsumoto wrote: The plan is to produce the Vita 1000 as well, for them to coexist. 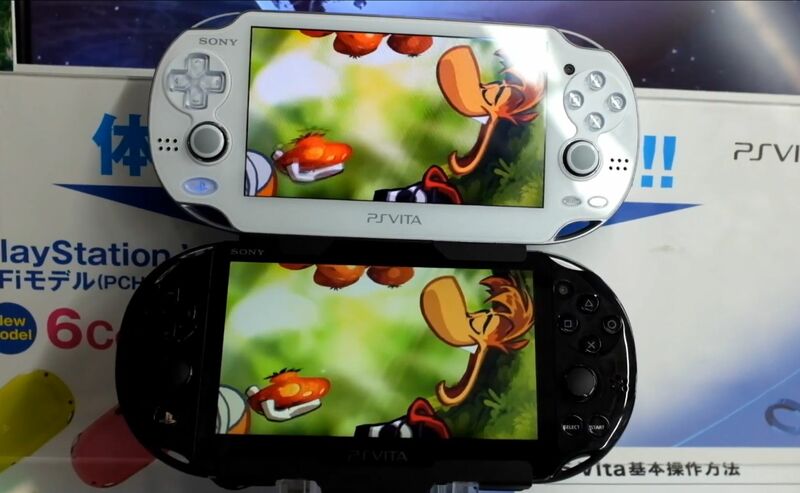 Yoshio Matsumoto wrote: However, we must look at the sales reaction to the new Vita. If we see that users are rapidly shifting towards the liquid crystal rather than the OLED and that the demand for the 3G model isn’t that high eventually we might have to think about it as a business. In regards to 3G, we’re in a business collaboration with NTT DoCoMo, so we don’t plan to stop production soon. So apparently there's no rush -- at least as far as Japan is concerned, and at least for now. David Bierton wrote: When Sony released the PSP E-1000 in order to provide a cheaper alternative to the regular Slim 3000 model, we found that the company had been a little too aggressive with its cost-cutting measures, resulting in key features - such as WiFi and the headphone remote connector - being removed. This limited both the functionality and appeal of the device, despite some noticeable improvements in other areas, such as the return to a progressive-scan LCD screen and the matte finish of the unit. Thankfully, with the new PCH-2000 version of the Vita Sony has avoided making the same mistakes, and instead has produced a carefully designed lower-cost alternative to the original Vita console that keeps the high-end image of the brand alive and intact. The new PCH-2000 model is a fine piece of hardware that retains much of the premium feel and quality construction associated with the original Vita console, but also improves upon it with regards to the slimmer form factor and more textured feel. The inclusion of 1GB of internal memory also comes in handy when it comes to installing retail games onto the system and downloading smaller titles from PSN. That said, you'll still be needing at least a 16GB card - or larger - to get the most out of the system if you are planning to go down the digital download route. Of course, the compromise here comes with the screen and while the IPS panel used in the PCH-2000 is excellent by mobile LCD standards, it simply can't match the wonderfully deep and colourful images displayed by the original Vita's state-of-the-art OLED alternative. The new model feels generally nicer to hold and to use, but no longer features the same alluring screen quality as before. In that respect if the size and weight of the original Vita doesn't bother you, we think that the superior OLED screen makes it the better unit overall, even though you miss out on the extra battery life and additional storage. Overall, the PCH-2000 is a nice piece of kit, but given the choice, it actually makes more sense right now to grab the original model, available online for around £169 along with Sony's 10-game "mega pack" - extraordinary value considering that the new Slim model is actually more expensive, offering less value owing to the omission of the bundled games and sizeable memory card. Historically, Sony's revised models tend to launch at a price premium before becoming more affordable, but we can't help but feel somewhat bewildered by the decision-making here. Vita needs all the help it can get: releasing a less desirable, but more expensive revision isn't really the shot in the arm we were hoping for. edit: I erased that dumb name - but pressing select and up didn't work for me.